This flamboyant array of colourful germinis makes a very vibrant gift. 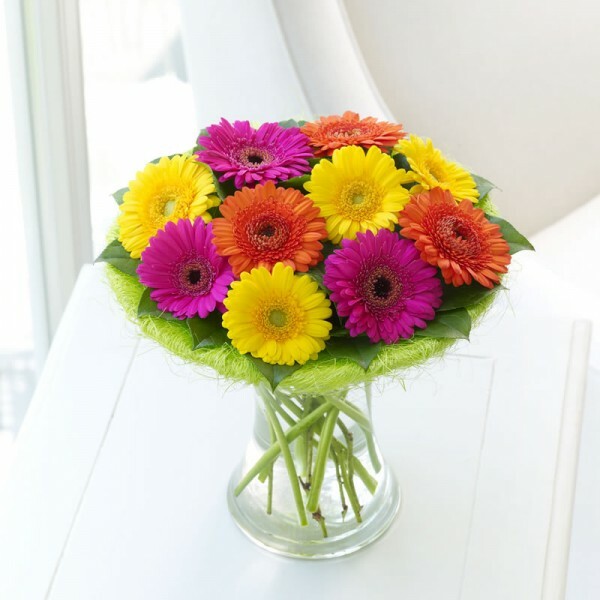 We've chosen fun, bright colours for a contemporary look, adding just a little foliage for the finishing touch. This is the ultimate feel-good gift, perfect to make someone smile. Featuring cerise, yellow and orange germinis with salal presented in a curved glass vase and finished with a green sisal collar. VASE INCLUDED.